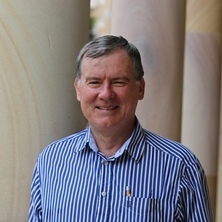 Lee Aitken is an Associate Professor at the TC Beirne Faculty of Law, The University of Queensland and studied at ANU, Oxford and Columbia. He has previously taught at law schools in Canada, Hong Kong, and Australia as well as practising extensively as a solicitor and barrister. While at the Sydney Bar from 1994 to 2005 he specialized in property, banking, insolvency, and general commercial disputes. He appeared in several leading cases in the High Court of Australia including Reid v Howard (1995) 184 CLR, Garcia v National Australia Bank (1998) 194 CLR 395, Tanwar Enterprises Pty Ltd v Cauchi (2003) 217 CLR 315, and Palgo Holdings Pty Ltd v Gowans (2005) 221 CLR 249. Bachelor of Civil Law, Oxf. Aitken, Lee (2015) Continuing Contractual Conundrums: 'Repudiating' a Contract, Penalties, Good Faith and the Scope of the Legitimate Interest Principle in White & Carter. Australian Bar Review, 40 2: 112-123. Aitken, Lee (2015) No alsatias: equitable execution, and recent developments in the asset preservation order. Australian Bar Review, 40 52-63. Aitken, Lee (2015) Performance Bonds: Risk-allocation, Construction, Fraud, and Overpayment. Australian Bar Review, 40 222-245. Aitken, Lee (2015) Thoughts for the litigant in person – some common, but unsuccessful, arguments which should not be raised in resisting the bank's claim. Journal of Banking and Finance - Law and Practice, 26 3: 173-181. Aitken, Lee (2014). Options for the Dunning Creditor Under the Statute of Elizabeth. In Shelley Griffiths, Sheelagh McCracken and Ann Wardrop (Ed. ), Exploring tensions in finance law : Trans-Tasman insights (pp. 253-275) Wellington, New Zealand: Thomson Reuters. Aitken, Lee (2014) Unscrambling 'detriment' - unjust enrichment, mistaken payments, and estoppel. Australian Bar Review, 38 3: 269-282. Aitken, Lee (2017) A bank's `no set-off clause', the guarantor and the claim for `loss or damage' (or statutory reconfiguring of a contract). Australian Banking and Finance Law Bulletin, 33 4: 74-77. Aitken, Lee (2017) Counterparties beware! The nature of the `security interest’: set-off, corporate insolvency and the PPSA. Australian Banking and Finance Law Bulletin, 33 8: 125-128. Aitken, Lee (2017) `Widgets' or `wodgets'? A heterodox reappraisal of the fiduciary who `steals a business': `account', `allowances', "consent' and other perplexing issues. Australian Bar Review, 44 250-266. Aitken, Lee (2016) 'Agency’ mortgage originators and loan enforcement. Australian Bar Review, 41 220-235. Aitken, Lee (2016) Banker and Customer - Incorporation of Terms, Ratification and the Validity of Gee's `laws of Litigation'. Australian Banking and Finance Law Bulletin, 32 9: 182-185. Aitken, Lee (2016) Exact Compliance and the Letter of Credit. Australian Banking and Finance Law Bulletin, 32 4: 82-84. Aitken, Lee (2016) Interpreting R v Baden-Clay: `discovering the inward intention’, or 'what lies under the veil?'. The University of Queensland Law Journal, 301-311. Aitken, Lee (2016) Recovering `stolen money' – Barnes v Addy, money had and received, and the struggle for remedial coherence. Australian Bar Review, 43 304-320. Aitken, Lee (2016) ‘Absolute assignment’, and the equitable ‘charge’ — Further developments. Australian Bar Review, 42 310-323. Aitken, Lee (2015) Modified universalism: confined or confirmed. Australian Bar Review, . Aitken, Lee (2015) Letter of credit, right of suit, and a bill of landing. Australian Banking and Finance Law Bulletin, 31 1: 14-14. Aitken, Lee (2015) The ordinary course of business and the PPSA. Australian Banking and Finance Law Bulletin, 31 2: 31-35. Aitken, Lee (2014) Restitution, trust, account, and the autonomous payment obligation. Law Quarterly Review, 130 385-387. Aitken, Lee (2014) The artisan as lienee and recovery of storage charges in the context of general average. Law Quarterly Review, 130 177-180. Aitken, Lee (2014) "Delivery", "escrow", recitals and estoppel, and attestation: current questions with deeds. Australian Law Journal, 88 8: 561-566. Deposits, instalments and recovery of "over payment"
Aitken, Lee (2013) Deposits, instalments and recovery of "over payment". Law Quarterly Review, 129 4: 489-491. Aitken, Lee (2013) No return of Alsatia. Law Quarterly Review, 129 2: 147-149. "Piercing the Corporate Veil" and the "Remedial Constructive Contract"
Aitken, Lee (2013) "Piercing the Corporate Veil" and the "Remedial Constructive Contract". Law Quarterly Review, 129 1: 21-24. Aitken, Lee (2013) Contract, confidence and the fiduciary relationship. Australian Law Journal, 87 6: 425-432. Aitken, Lee (2013) Elective or Automatic Termination of a Contract of Employment. Law Quarterly Review, 129 335-337. Aitken, Lee (2013) Mistake payments - the faith of receipt defence. Australian Bar Review, 302-309. Aitken, Lee (2013) What is an “absolute” assignment? Further reﬂections on charges, “tacking” and marshalling. Journal of Banking and Finance - Law and Practice, 24 93-103. Aitken, Lee (2013) ‘Dependent’ promises, failed contractual performance, and the influence of civil law on the ‘options’ of the innocent party: White & Carter revisited. Australian Bar Review, 36 3: 290-301. Aitken, Lee (2012) Sins of omission: Torrens title and easements. Law Society Journal, 50 66-66. Aitken, Lee (2012) "Segregation" of funds, insolvency, and the "statutory" trust. Law Quarterly Review, 128 497-499. Aitken, Lee (2012) Carbon credit theft: remedies in English case point way for for Australia. Law Society Journal, . Aitken, Lee (2012) The "rule" in Cherry v Boultbee and the problem of "double proof" in insolvency. Law Quarterly Review, 128 202-204. Aitken, Lee (2012) "Asset lending" and the improvident borrower. Australian Law Journal, 86 2: 134-137. Equitable charge or equitable mortgage? Aitken, Lee (2012) Equitable charge or equitable mortgage?. Commercial Law Quarterly, 21 1: 3-6. Aitken, Lee (2012) Fundamental, and ‘anticipatory’ breach and the impact of ‘rescission’. Australian Bar Review, 36 1: 18-30. Priority in equity: failure to caveat and "postponing conduct"? Aitken, Lee (2012) Priority in equity: failure to caveat and "postponing conduct"?. Australian Law Journal, 86 5: 291-295. Aitken, Lee (2012) Recent developments in the shareholder’s derivative action. Commercial Law Quarterly, 26 3: 14-14. Two `simple' problems with the "uncommercial transaction"
Aitken, Lee (2012) Two `simple' problems with the "uncommercial transaction". Australian Law Journal, 86 47-57. Aitken, Lee (2011) Thoughts for the litigant in person. Australian Banking and Finance Law Bulletin, 26 8: 125-125. Aitken, Lee (2011) The modern position on equitable set-off, and "retention" in Scotland. Law Quarterly Review, 127 176-179. Aitken, Lee (2011) A liability ‘properly incurred’? — The trustee’s right to indemnity, and exemption from liability for breach of trust. Australian Bar Review, 35 1: 53-70. Aitken, Lee (2011) Lender versus intending surety – the duty to advise. Australian Banking and Finance Law Bulletin, 27 3: 42-42. Aitken, Lee (2011) ‘Without prejudice’ revisited. Australian Bar Review, 34 3: 296-305. Aitken, Lee (2011) “Recognising an elephant”: equitable set-off, “impeaching title” and the modern position on “sufficient connection”. Australian Law Journal, 85 1: 51-59. Aitken, Lee (2010) Forfeiture and the operating lease. Law Quarterly Review, 126 505-507. Aitken, Lee (2010) Trespass, trover, and domestic correspondence. Law Quarterly Review, 126 179-183. Aitken, Lee (2010) Abandonment of a chattel, and the unwitting bailee: Position in Robot Arenas Ltd  EWHC 115 (QB). Australian Law Journal, 84 6: 369-371. Aitken, Lee (2010) Current issues with caveats: a pan-Australian conspectus. Australian Law Journal, 84 1: 22-31. Aitken, Lee (2010) Enforcing the undertaking as to damages. Civil Justice Quarterly, 29 4: 405-410. Aitken, Lee (2010) Recent applications of the rule in Cherry v Boultbee (or Jeffs v Wood). Australian Law Journal, 84 3: 191-198. Lee Aitken (2010) Resuscitating Unenforceable Contracts. University of New South Wales Law Journal, 48 2: 56-57. Aitken, Lee (2010) Set-off, Relief Against Forfeiture and Repudiation of the Lease. Australian Property Law Journal, 19 46-58. Aitken, Lee (2010) Set-off, the `Anti-deprivation' Principle and Ipso Facto Clauses in the `Financial Crisis'. Journal of Banking and Finance Law and Practice, 21 1: 70-78. Aitken, Lee (2010) The Forged Mortgage: Further Developments in 'van den Heuvel v Perpetual Trustees Victoria Ltd'  NSWCA 171. Commercial Law Quarterly, 24 3: 28-30. Aitken, Lee (2010) The Future of the `Minimum Equity' and the Appropriate `Fault Line' in Promissory and Proprietary Estoppel. Australian Bar Review, 33 212-222. Aitken, Lee (2010) The jurisdiction to relieve against forfeiture in a commercial transaction. Australian Bar Review, 33 110-118. Aitken, Lee (2010) Three clear sundays. Australian Law Journal, 84 4: 210-210. Aitken, Lee (2009) Control and the Discretionary Trust. Law Quarterly Review, 125 542-544. Aitken, Lee (2009) Discretion, Power and the Accrued Jurisdiction of the Family Court. Australian Law Journal, 83 694-703. Aitken, Lee (2009) Muddying the Waters Further: Kennon v Spry - `ownership', `control' and the Discretionary Trust. Australian Bar Review, 32 173-179. Aitken, Lee (2009) Recent Developments in Shareholder's Derivative Action: Hong Kong and Australian Perspectives. Hong Kong Law Journal, 39 129-142. Aitken, Lee (2009) Share Trading and the Clog on the Equity of Redemption. Australian Law Journal, 83 237-241. Aitken, Lee (2008) 'Control’, ‘ownership’ and the beneficiary of the discretionary trust: case note. Australian Bar Review, 31 1: 128-131. Aitken, Lee (2008) Recovery of Chattels in the Common and Civil Law: Possession, Bailment, and Spoliation Suits. Australian Law Journal, 82 379-391. Aitken, Lee (2008) Trespass, Injunctions and Damages. Australian Law Journal, 82 364-366. Aitken, Lee (2007) Equitable and Other Defences to the Mortgagee's Sale. Journal of Equity, 2 26-39. Aitken, Lee (2007) Trade Secrets', Know-how and Employment Restraints: Preserving Commercial Confidences when Employment Ends. Commercial Law Quarterly, 21 4: 32-36. Aitken, Lee J. W. (1990) Success at the Bar: lessons from literature and prosopography. Australian Bar Review, 6 2: 169-175.